Ooh, yes, Shin Sung-rok is taking a leading role in On the Way to the Airport, an upcoming human drama on KBS where he’ll play husband to leading lady Kim Haneul (A Gentleman’s Dignity). Okay, admittedly I’m not sure the plot sounds that thrilling, but it is a good main cast — also with Lee Sang-yoon (Twenty Again) and Jang Hee-jin (Mirror of the Witch) — and I like thoughtful character/relationship pieces. The drama centers around the main question of whether men and women can be friends, and whether married people can have (non-romantic) relationships outside their marriages. I do believe it’ll be a drama with four primary leads rather than a main couple and a supporting one, and Lee Sang-yoon and Jang Hee-jin play another married couple. Based on the setup, I’m actually thinking that the cross-marriage pair of Kim Haneul and Lee Sang-yoon are the main leads who form a friendship, but that’s a bit of speculation on my part. Lee Sang-yoon plays a university lecturer with an upbeat personality, who’s married to Jang Hee-jin, a dignified and hard-working wife who nevertheless fears she may lose her husband. Meanwhile, Choi Yeo-jin (Riders: Catch Tomorrow, The Lover) has also been added to play Kim Haneul’s co-worker, a chic flight attendant with a strong sense of duty and professionalism. More interestingly, she’s described as a core character who knows everybody’s intertwined secrets. On the Way to the Airport will be a Wednesday-Thursday drama following Uncontrollably Fond, and premieres in September. For a second I read that heading as "Shin Sung-rok cast as Kang Haneul's husband...." ? anyway, glad he join, I like his acting. Me too!!! I thought whaaaat? ? Me too.... and I thought, "Wow edgy pairing but I'll give it a try!" I thought Javabeans was going to say something around the idea that it is a good thing to try a same-gender pairing. HAHA. I admit, I was disappointed for a good 5 seconds. Ditto. I was really thrilled for a second :D.
Kang Haneul was actually in an LGBT musical with Ji Chang Wook where they frequently kissed. Finding that out made me reeeeally sad that most theatre performances aren't filmed. Yes, and both of them admitted that to date (of their interview last year?) their kiss scenes still hold the record compare to kiss scene they each have with their respective female lead! ? I'm looking forward to this drama thanks to him. So I'm not the only sleepy one here, or our eyes (or is it mind?) start deceive us? Though I won't mind for such pairing.. ??? Rofl. Thought the same. ? 1) Kang Haneul's real name is also Kim Haneul. 2) The two Haneuls share the same birthday - 21st Feb; they were born exactly 12 years apart. +1more. And it's not the first time! Okay...how can JB or any reader miss the 'Liar Game' reunion!! oh my god you're right!!!! I can't believe I missed it! I had to think for a bit before I got who you meant! I KNOW!! For the whole post I was waiting for some squealing and nothing! So glad to read your comment!! ? Does this drama exist to path way for Shin Sung Rok & Lee Sang Yoon's bromance? After Liar Game? Should the ladies just take the exit and let the bromance bloom? why do you all like bromance is beyond me. not to say I dislike gay thingy but it seems many of you like romance between men here in dramabean I dunno know but I found that weird. Lee Sang Yoon and Shin Sung Rok are close enough in real life ( they are in a basketball team and their team won last year ), and they show very good enemy chemistry in Liar Game but in real life they are very friendly to each other, that's why everyone love their bromance I think. I always confuse him with sung joon. ... is it just me or do they look alike alot ? i think i see what you mean, but they do indeed have differing features. their smiles are totally different. He's built like him that's about it. I agree with you. They look so similar that I always confuse him of High Society's Sung Joon. I can see it. I love both of them and haven't ever thought of this. Thanks for bringing it to my attention. My tall, dark beauties! There is something about his face that reminds me of Sung Joon but having watched them both in dramas before I never noticed they look sort of alike until this picture. yes, I always confuse them - they also both have deep voices! "Good day passengers! This is your pilot SSR. Today , our destination is death. Please fasten your seatbelts and enjoy the flight" . "good day everyone! Please sit back and enjoy a safe trip. As you all know,your saftey andcomfort is our utmost concern,you know we like you right? How's your health these days? Please take care of your health. Enjoy!" Refreshments will be poisoned champagne with a hint of paralysis. Ooh, this is a really great cast! I hope there's not actual adultery though it sounds like there might be suspicions about adultery (and maybe flirty stuff from SSR's character? or maybe he's just delving into having female friends outside of his wife). Sounds like it could be a really cute, warm drama. What is the genre of this drama? Melodrama or rom-com one? I read on asianwiki that this could include adultery/affair thingy between those couples. If it is a melo, that could happen. However, if it is more like rom-com drama, we can expect it to be cute and heart-warming. I just looked up to see what Shin Sung Rok has been up to I missed his face and talent. And his voice. His voice. His voice. I am intrigued. I like Kim Haneul and Shin SungRok, I love Choi Yeo Jin and I am looking forward to seeing her as an interesting character. Yeeeeeeeeey,he's back to dramaland!! !Miss him a lot,hope he'll get more roles!!!! Come to think of it, it is funny (I guess they meant heart-warming drama). So others are inhuman drama? If it premieres in September, its rivals will be SBS' Jeaolusy Incernate and MBC's Shopping King Louie. Those are 'human-dramas' too. Really curious how the ratings will be as based on the plotline, they are quite even. 24 episodes? like really? wouldn't it be so draggy? I never manage to finish a 24-episode drama. Saw it on the wiki.d-addicts site which says Legend of the Blue Sea (which follows JI) starts Nov. 9 (all the other ones just say some day in Nov), so that'll make it 24 episodes. Even if SBS puts a 4 episodes drama in between it'll still be 20 episodes. Man now I worry about JI, as much as I love GHJ and JJS, the premise doesn't sound as if it could fill so many episodes. jokes aside, he had fantastic chemistry with Jung Eunji in Trot Lovers too. I'm really loving the cast for this. Looking forward to the Liar Game reunion. Also Choi Yeo-jin! Haven't seen her in anything for awhile, but I've always been a fan. I sure hope it doesn't turn out that men and women can't be friends because that would be a load of bs. A possible bromance shenanigans between Lee Sang Yoon and Shin Sung Rok in this which was not possible in "Liar Game"? Check. 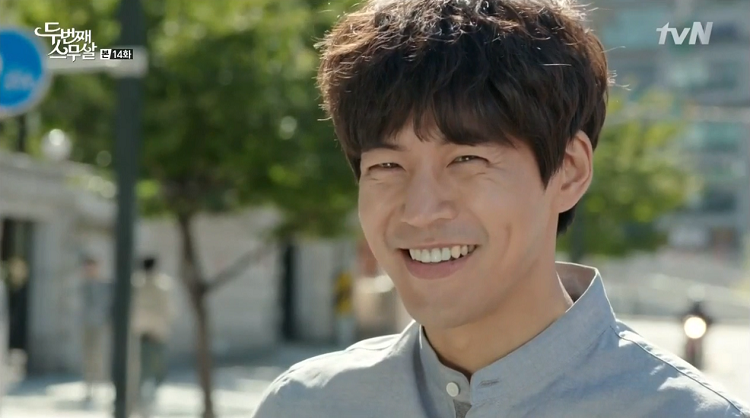 Lee Sang Yoon taking on another role as a university teacher/lecturer? Check. 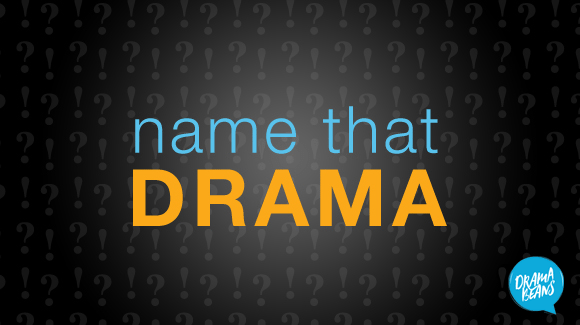 Dramaland is going crazy!! !Needs to be send ti ER!!! "But he starts to slowly take interest in other women..."
I screamed so loud my voice disappeared. Looks like we might be getting Liar Game 2 now since all the leads have jobs, still crossing my fingers for Kim So-eun to say yes to her drama. I love everyone in this drama so I can hardly wait for this. Yay! If Lee Sang Yoon caught me first, Shin Sung Rok definitely sunk me. I'll watch even if they say guys and gals can't be friends. And I didn't even notice the LR reunion until people mentioned it. LR 2 soon please! This wasn't interesting to me at all at first, but Shin Sung Rok who I haven't seen in forever and Shin Sung Rok with Lee Sang Yoon for a Liar Game reunion? Yes please! Drama Gods: Liar Game 2 or Air? You can only have one, Poliwag. Don't be greedy. Sooooo.... what I'm hearing is definately no liar game 2 this year? Ummm... Okay so I'll just sit in this corner and bawl my eyes out while also waiting to watch this because I'm super excited.Why are the drama gods so cruel ?! But seeing both of them also reminds me that there is no Liar Game 2,.. I still believe that Liar Game 2 will be aired, I don't know when, but I hope it'll be aired at least next year..
Aw not the reunion I was hoping for (still waiting on Liar Game Season 2!<3) but they had a great rapport before so I'm slightly more interested in this drama even if the premise doesn't sound terribly interesting. *imagines Shin sung rok wearing a pilot uniform* Yesssss!! The only thing im side-eyeing is him being "interested in women"... are they implying he'll have an affair?? Dont do this to me dramaland! Ive missed him so much but youll make me hate his potentially cheater character?? It's great to hear about the addition of Shin Sung-rok to the cast! He's always interesting to watch. Really like SSR. Interesting as this will also be a reunion for him and Kim Ha Neul. They were in the movie Lovers of 6 Years (with Yoon Kye Sang) before. Nice to see Jang Hee-jin getting steady work (and hopefully, increasingly higher profile parts). Within a stellar cast in MotW, JHJ held her own. This is a drama reunion.